Last week I was lucky enough to head to Prague for a much needed week away. Staying in the centre of Prague 1 we were surrounded by an abundance of choice of places to eat. 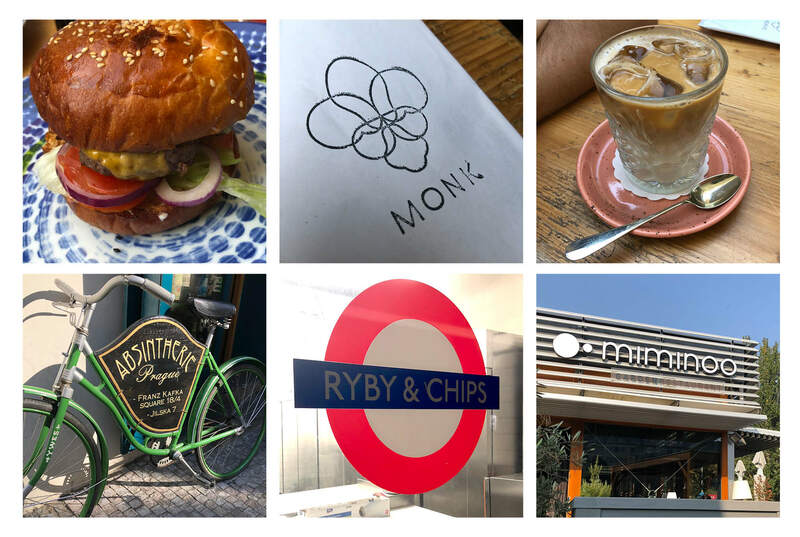 Being a fully immersed designer in the food industry I can’t help but indulge in food branding wherever I go, critiquing logos and eyeing up menus, it’s something I admire and love to explore and it really can play into the factor of where I choose to eat! 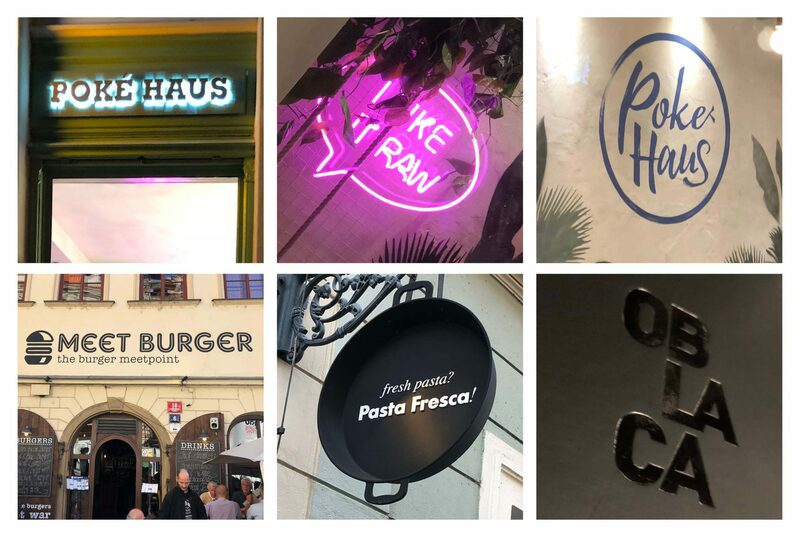 Prague was the perfect opportunity to fully engross in a different but much familiar culture of cuisines and trends including burgers, healthy eating and small independents. 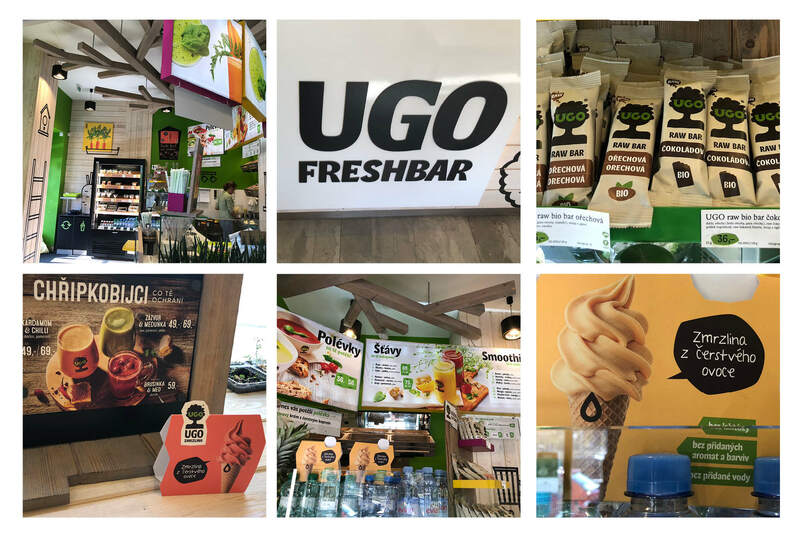 Ugo Freshbar and Salateries is a healthy eating concept in the Czech Republic and really highlights the keys to eating healthy and looking after the environment. The bar was ceiling high with fresh fruit on display. Wraps, rice and salad dishes were made fresh daily and out on display. 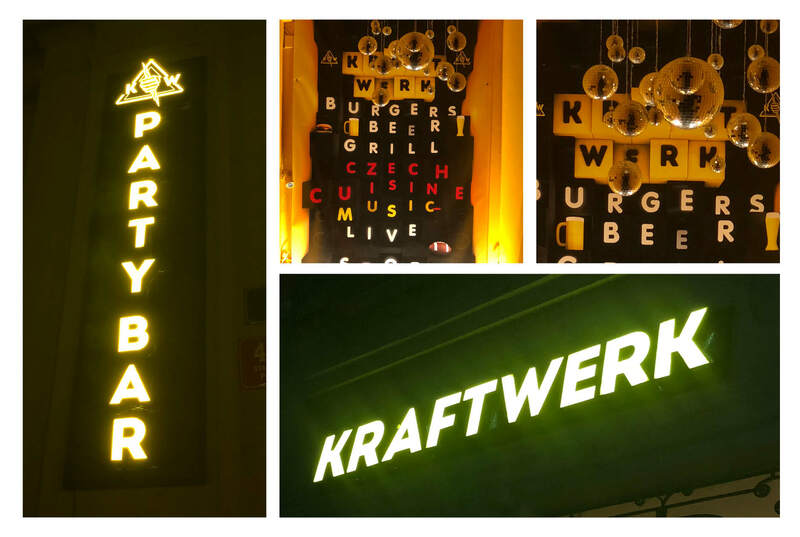 The bar felt very different to a lot of the places we came across in Prague, with its naïve modern twist of bright colours and funky shapes, they certainly filled the gap in the market for this fresh thinking. Bistro Monk was set in the Old Town of Prague, a few steps away from the famous astronomical clock and through an ally way, this little bistro was something you’d expect to see in Covent Garden, London. The waiters were in branded rustic aprons and food was served on beautiful crockery. Organic produce and homemade cakes were the highlight of their offer. It’s a really interesting thing, you can go 800miles across Europe and almost feel as though you could be in London. It really does show how the big cities do cater for all walks of life coming from all over the world – I for one couldn’t quite push to eating any delicacies like pork knuckle but I certainly helped myself to the Trdelnik’s (doughnut chimneys)!